The name, Levon, was taken from one of the greatest figures in Armenian history, King Levon I. He was also known as Levon The Magnificent, and was one of Armenia's most poignant figures in all of history. It was he who who was pivotal in bridging the gap between East and West, and formed strategic alliances with many European countries, including France. 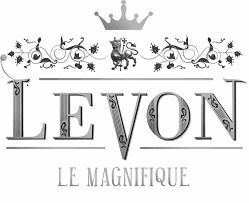 The house of Levon has used the french translation of 'The Magnificent' as a sub title for it's name, and is known as Levon Le Magnifique. The house of Levon is uner the watchful eye of cellar master, Gilles Arramon. He is certainly no stranger to wine making or Cognac, with extensive cellar master experience. He also has a PhD in Oenology, and believes passionately in the non-industrial approach towards the art of Cognac creation. News, products, anecdotes, and awards. Levon Cognac brings the word artisan back to its true level. There's certainly no mass production on these premises, and the whole process of making their Cognacs is carried out in the tradtional manner. Their products are only made in small batches, ensuring the quality, freshness, and integrity of each and every bottle that carries the Levon name. At the 2018 an Francisco World Spirits Competition, their Levon VSOP Le Magnifique Cognac was presented with the highest possible award, a double gold medal. There is no information available about visiting Levon Cognac. We suggest you contact the house directly if you wish to go there.